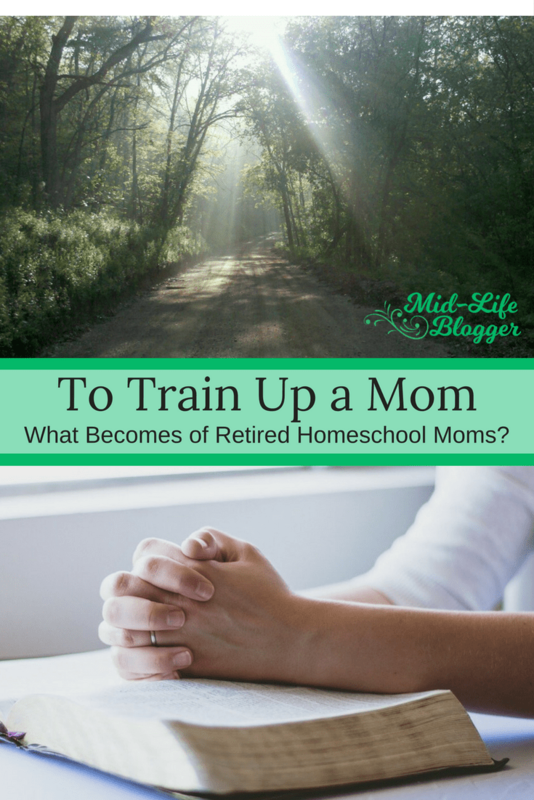 To Train Up a Mom ~ What Becomes of Retired Homeschool Moms? While I was “training up” my children, I was also being trained. I just didn’t realize it at the time. While homeschooling our two children, I would occasionally look to the future and wonder what would become of me when they graduated. After being out of the workforce for over twenty years, what would I do? What becomes of retired homeschool moms? A few years ago that day arrived. The kids had become young adults and my homeschooling years came to an end. I became a retired homeschool mom. That had been my identity for fourteen years. Who was I now? What was I good for? God had called me to homeschool and, feeling like I had made a commitment directly to Him, I stuck with it until both kids graduated. After taking a little time to adjust, I asked Him what was next. He pointed me towards the substance abuse treatment center that our church was ministering to. My first thoughts reminded me of Moses’ apprehension. I didn’t have any experience with that. What did I have to offer? What did He want me to do there? Despite my skepticism, I felt like He was sending me there, so I went. It was definitely way out of my comfort zone. For the first several months, I was so nervous that I sweated profusely and I had to be careful about what I wore. Satan discouraged me through nightmares and negative self-talk, but I kept going anyway. I’ve been volunteering there for over a year and a half already, and during that time I’ve met women from a wide variety of backgrounds and learned more about their problems and needs. When I think back over all the years I spent homeschooling, I’m beginning to see how maybe I was being homeschooled, too – being prepared for other purposes that God had planned for me. Homeschooling developed my patience. While teaching my children I saw how problems often resolved themselves with a little time and maturity. Giving up or losing my temper wouldn’t have helped. They weren’t rebelling and it wasn’t something they could control. Sometimes we’d put a challenge aside for awhile and came back to it later. Other times we kept at it until they finally got it. Either way, together we finally succeeded due to patience and persistence. When I’ve taken spiritual gift assessments, prayer and encouragement are my top two. I pray for and with these women often. Even though I’m not eloquent, I hope to model approaching our Heavenly Father and show that He’s really there and accessible. I’ve also seen God answer my prayers and His hand at work in guiding our family over the years. Those experiences have strengthened my faith. The ladies need a lot of encouragement. Just like I’ve been (and still am) my children’s cheerleader, now I try to do the same for them. Reassuring them to keep going, try again, and that with God’s help they can overcome. Some of the women didn’t have a mother, or didn’t have an example of a good mother. Not only do I want to encourage them, but I hope to model some maternal attributes that they can use with their own children. I’m learning to see them the way I think our Heavenly Father sees them – as souls worth saving. I don’t have to agree with their personal choices and beliefs to share the Good News with them. 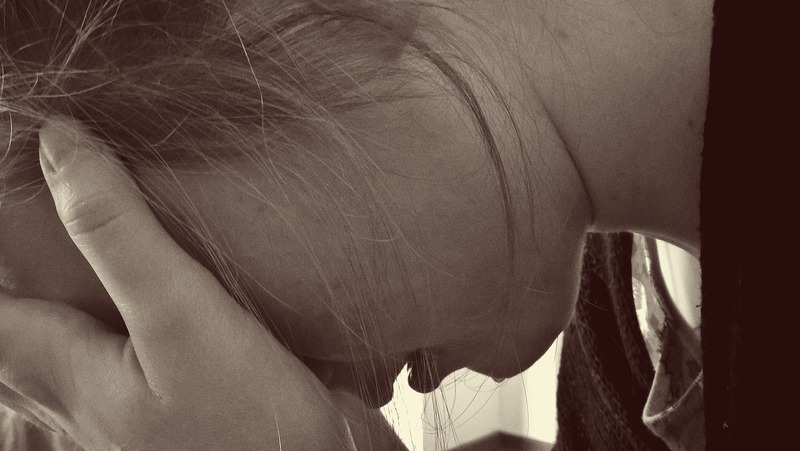 Because of bad choices, many of them have lost their family and friends. They need for someone to give them a chance. They need for someone to reassure them that God still loves them and is waiting like the Prodigal Father to forgive them as soon as they turn back towards Him. I can do those things. I can listen. I can encourage. I can pray. I can tell them God loves them. I thought I needed personal experience with the addictions that they’re battling in order to help, but that wasn’t so. The basic things that I have to offer are things that everyone needs. God is still teaching me. He has nudged me out of my comfort zone to further develop my own spiritual gifts, and He continues to put new opportunities to serve and grow in front of me. So the moral of this story, Homeschool Mom, is that God is at work in you, too. He’s working through you now to train up your children, and at the same time, He’s preparing you for what will come next. When you’ve finished your current assignment you’ll be trained up for other special purposes. This post was particularly hard for me to write. I hope that it encourages you in your walk with God. One of my other “ministries” is helping new homeschoolers get started. I wrote 9 Easy Steps to Homeschooling especially for them! Yes, He does! Thank you! As I’m recently in the same role its life changing and beautiful. I’m amazed at what God is doing with my life now. Thank you for commenting! I had never felt God so active in my life before homeschooling. It was an amazing experience. I’m nearing the end of a 23 year homeschooling journey soon and have had the same questions. what’s next? a couple years ago i actually could feel panic set in when i thought about what was next, but as i get closer i can start to see that there is life after homeschooling and that i don’t need to worry about what those days will look like, but trust and follow God right now. B/c the best way to be in the will of God 2, 4, or 6 years from now is to be in God’s will today. thanks for sharing your lessons! And thank you for your comments! I think fourteen years is a long time to homeschool, so I’m in awe with women like you who have done it for over twenty! I’m in awe! Oh wow…you have really hit the nail on this!! I too share many of these same views. Homeschooling is such a blessing…beyond description. Many look at it as just home educating…which it is such…but it so much more!! I only have a couple of years left, but there has been so much content already!! Thank you for such a beautiful message!! Thank God for such a privilege!! Oh, thank you so much for taking the time to comment! I truly appreciate it! I learned this best through dog training. Bent on raising up my pup to compete I found myself frustrated at her lack of attention to the instructor but rather would turn to me for instruction. That coupled with practicing the trainings at home, it dawned on me that I was actually the one being trained so I can teach others. Another aha moment! Michelle, what a beautiful post; it spoke to me directly. I’ve been “retired” from homeschooling for several years now and am still praying for what’s next. Maybe I need to pray for my eyes to be opened, to discover that I’m already in the midst of it, whatever it is. Thank you, Kathi! I’m so glad to hear that it meant something to you. Great article, Michelle! I loved reading it. LOVE, love this post. I retire in 3 years after something like 24 years??? I feel like I’m very qualified to do a lot of things very well in the work force, but my “work experience” and age won’t impress most employers. Should I get more education and pursue a thread of expertise past my bachelors degree? Should I just get a job that I can leave at work to come home and take care of my husband? Should I only work a wee bit so that I can invest time in my grandchildren? I can’t do ALL that I’d like to do or all that I think I should do. I don’t want to do many things only so-so. Where should I focus my time? I can’t tell if that’s a rhetorical question, but if you’re asking me, I’d say pray about it. A lot can happen in that time. I would recommend to homeschool moms nearing retirement to start pursuing some of their own interests as time allows. It may be different for women like you who have grandchildren already, but for me it was a definite change. Blogging and volunteering have helped to fill the void that was left. I always love your perspective, Michelle. 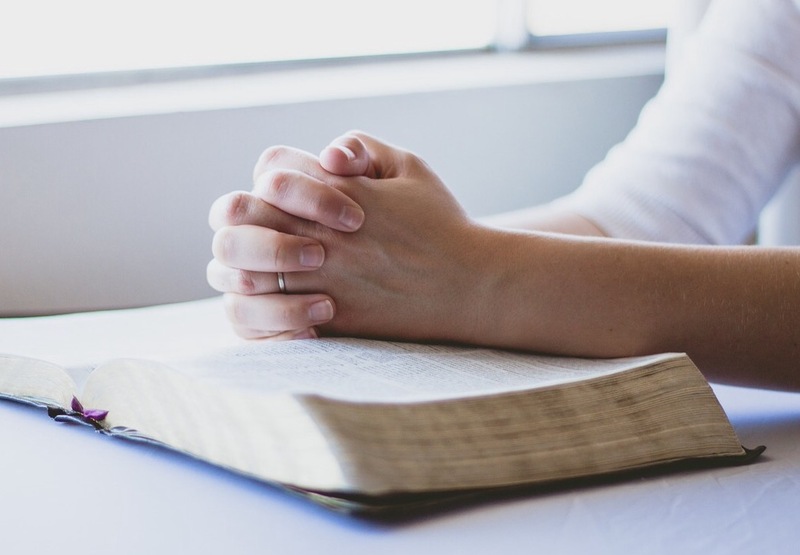 Honestly, while I knew these truths and have certainly witnessed them myself time and again–how God is molding and training ME as I train my children–I honestly haven’t thought about it deeply until reading your post. How crazy that all along I thought I was doing this for my CHILDREN, but God knew it was just as much for me, as well as the other people I could minister to as a result. Your work at the substance abuse center sounds so very hard yet so very rewarding. Thank you, Michelle! It’s amazing what a blessing homeschooling is, and probably even in more ways than we realize. The last year or two fly by. You’ll be an empty nester before you know it! What a beautiful post, Michelle! I have quite a few years before I am “done” homeschooling but I have definitely thought about I will do when I am done. I’ve already been out of the work force 12 years and at times I feel a little nervous about that. That being said, I know I’m doing what God has called me to do and I must trust him to do the rest. That’s right, Rosanna. He will, for both you and your children. I’m glad you could related to my post. Thank you for commenting! I homeschooled my seven kids for 29 years. Talk about an adjustment! Before I was through, I started working for my elderly neighbor two mornings a week as a home health aide. I am still doing that. I find it very enjoyable, and I can actually walk to work. A year passed before I started a Christian music and movement business for littles and their parents. My musical background, homeschooling, and working with children at my church were all perfect preparation. God always has a plan. Yes, He does, and I love hearing what He planned for you. Thank you for sharing. That’s amazing that you homeschooled for so long. Your neighbor and other children are really benefitting from your skills. What a blessing you are to the homeschooling moms who are raising up their own children! Thank you for being willing to pass on your wisdom, experience and encouragement to the next generation. Oh, thank you! I hope it encourages someone. It can be kind of scary to fully immerse yourself for so long, and then it suddenly comes to an end. Pam, thank you for reading, and especially for commenting! I’m glad God is at work in your life, too. It’s a wonderful thing to be aware of. Thank you for your encouraging words Michelle! I’m glad you found it encouraging! Thank you for reading. After homeschooling my children, God opened up an opportunity for me to do tutoring with other homeschool children. It’s like I never stopped homeschooling. I love it! And you have to know how much the other homeschool moms appreciate you! I’m so glad that you’ve remained a part of the homeschooling community. You’re a blessing to them! Who’d have guessed my niche would appear after my husband retired! He’s taken to preaching and shepherding a small church and my duties and responsibilities are just right for an old woman. 😀 I also spend a lot of time tutoring, and writing, both for the church and for my blogsites. I’m nearly a VA for the church, so it’s amazing how much of my time is not free! Did blogging help you learn things that were helpful with your church? I loved this. This has been on my mind a lot lately now that my boys are high school age. Thank you for the encouragement. Thank you! It’s nice to know that I wasn’t alone in those thoughts. I’m glad it encouraged you! This is so beautiful. Only other Moms that have taken up this lifestyle understand that is truly becomes a lifestyle and road less traveled. My youngest graduates in May and we’ve been at it since the 2nd grade. The last few years are a blur. When we are called to HS, it’s a beautiful thing and this post is just beautiful too. God bless you for pouring your time and energy into this ministry. I’m sure your older kiddos are very glad that had such a committed Mama. Well done, friend! Thank you, Shan! That’s such a sweet comment. I truly appreciate it!